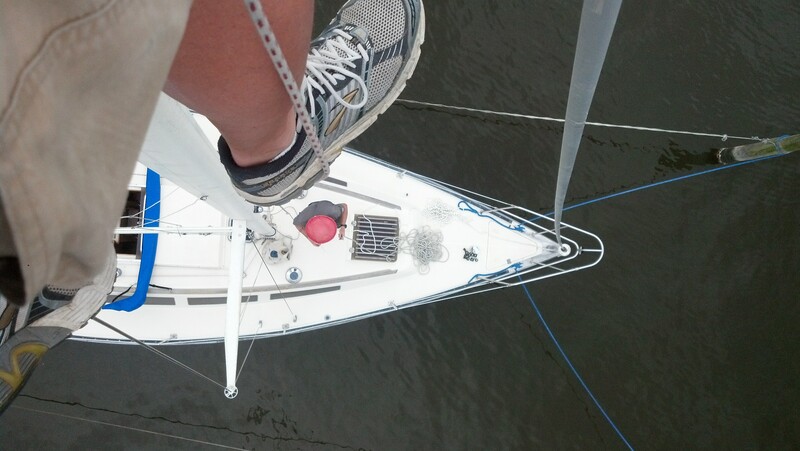 This week we were aloft to replace a headsail furler. 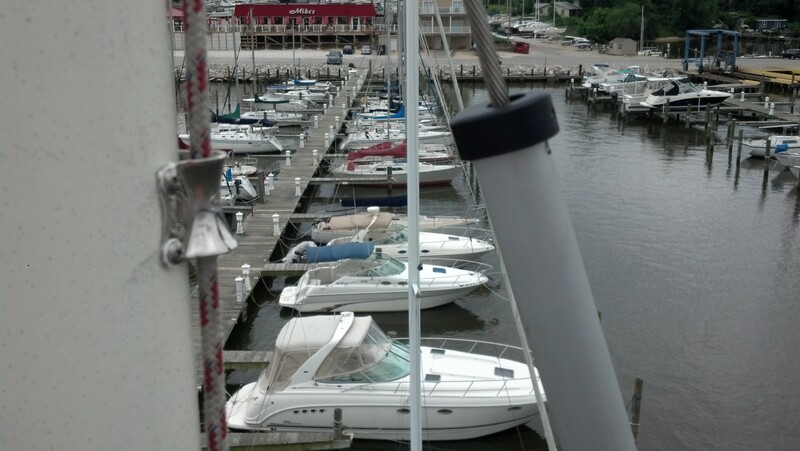 Hood Yacht Systems provided this furler. 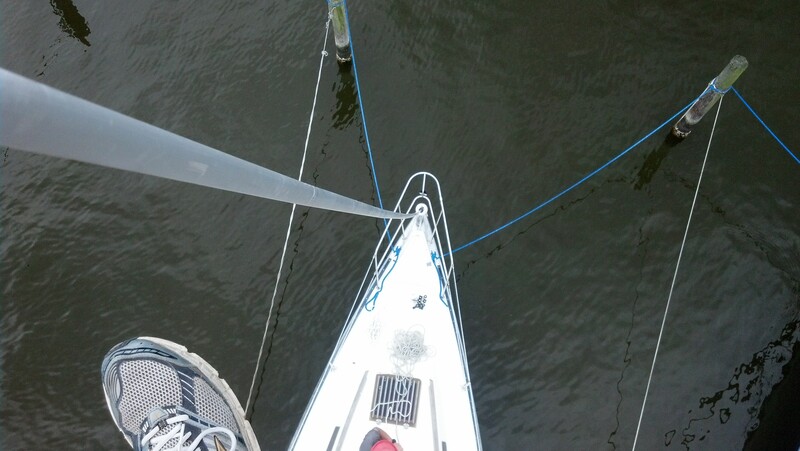 The Hood Seafurl seems to be a good furler. I’d say my only real tiff with these systems is the rubber liner that is found inside each of the extrusions. The ball bearings are dry lubricated, which I like. Give it your best shot and see if you can guess what the name of this creek is. 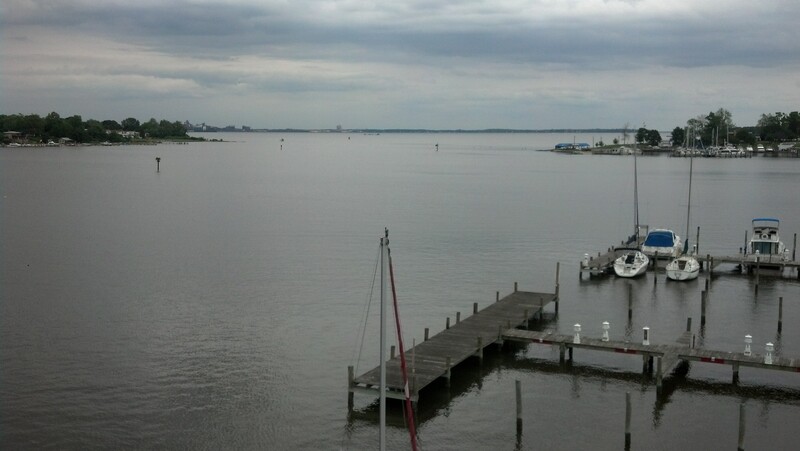 Thanks for taking a look at the view! Not bad, you must know the area well Paul. Thanks for the comment. Just FYI (for your information) if you click on the top panorama picture and then click it again, you should be able to zoom-in see her “heiney”. I will take a guess at the creek. 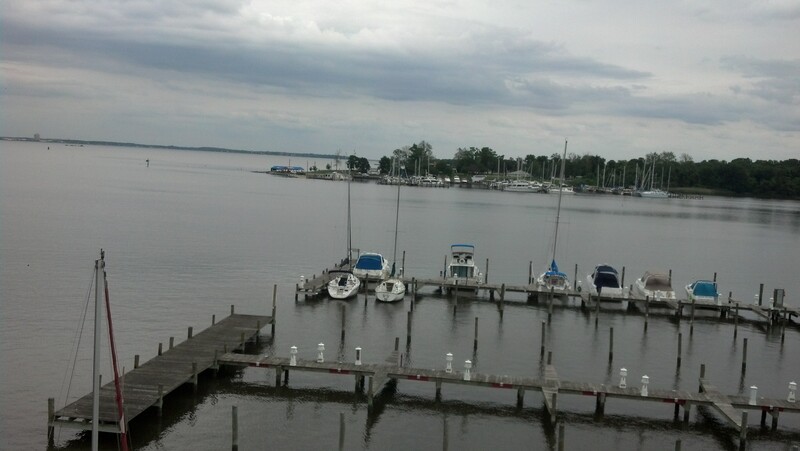 It’s Rock Creek and your looking over at Maryland Yacht Club.